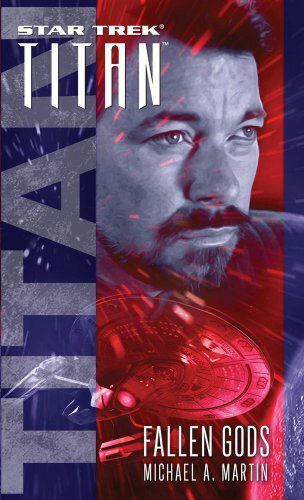 Nominally the seventh book in the Star Trek: Titan series, this book actually follows on from the 'Typhon Pact'-branded novel Seize the Fire by the same author. It follows the Titan as it investigates an unusual pulsar and deals with some of the repercussions of events in the wider Star Trek novel universe. 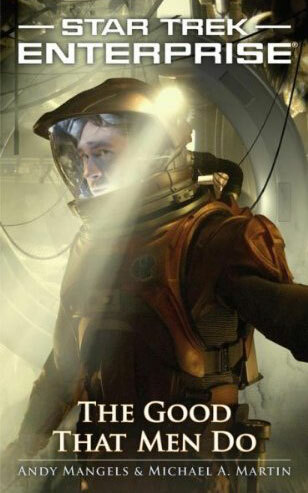 The narrative is written in an interesting style, with the narrator seeming to take on the voice of the character it is aligned with despite remaining third person. This is something I haven't noticed from Martin before but in places makes the book hard to read - particularly when he's telling the story from the point of view of the new aliens. I would have liked to have spent more time exploring the character of Pava as well, who seems to be skipped over despite seeming the most interesting character. The plot is slow to get going - it's a curious mix of two plotlines which seem completely disconnected, which while a little reminiscent of the old A/B-plot episode structure from the TV series feels lacking. It then ends very abruptly, which for one of the stories seems like a chapter of follow-up has fallen out somewhere. As people have said of Martin's other works, his writing is about telling what happens, but there's little by way of real character development. There are character moments certainly, but they don't change or grow. It's also annoying that despite the big thing about the Titan being its diverse crew, the characters he uses are the same ones and same races we've seen before. The most frustrating thing though was the very obvious elephant-in-the-room that seemed to be built up as some big mystery when it was obvious to the reader exactly what was going on. However it's not a bad adventure, and once I'd got my head around them the alien species were an interesting, if under-developed concept, and it served to continue the ongoing storyline - so is a must read for anyone following along. I have to admit that this book wasn't quite what I was expecting, but nonetheless earns its place in the Star Trek continuity. 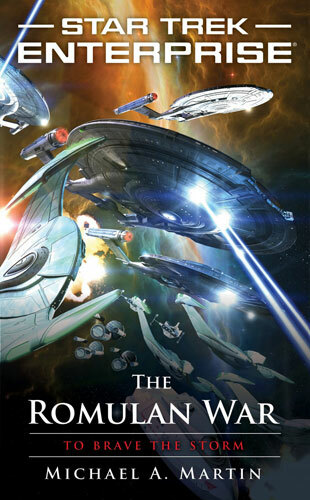 It's the second part of a duology about the war between Earth and Romulus that has been established in Trek lore for some decades as happening prior to the foundation of the Federation, and something that the Enterprise series was long thought to be planned to be about. Previous reading is required for this - the other Enterprise continuation novels are vital if you're going to understand where the characters are, and this novel wraps all of these up. The plot in this 'episode' starts a bit slowly. It's quite a disjointed storyline, focussing on several key parts of the war rather than being a single narrative within the war, and as such manages to cover a lot more than I was expecting. Once the first few parts are out of the way though the speed and the action pick up to an exciting pace, and this continues through to the end. It becomes an enjoyable read and I almost wish that there was some more of this to come. The focus is very much on Archer, Trip and T'Pol, with some of the others getting barely more than a brief mention, which is where the TV series evolved to, and I was a little disappointed to not get a bit more on the others. I still feel that Martin's output has suffered since he stopped writing with Andy Mangels, and the narrative feels a little rougher and less friendly than some of the earlier stories in the series. This feels like a good place for Enterprise's story to come to an end. 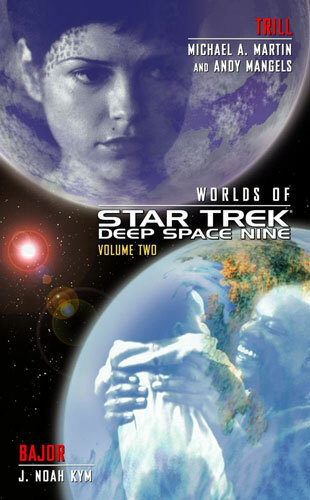 I don't think that there's going to be any more novels that continue Star Trek's 2150s storyline, and this novel certainly serves as a much better close than the final episode of the TV series did six years ago. 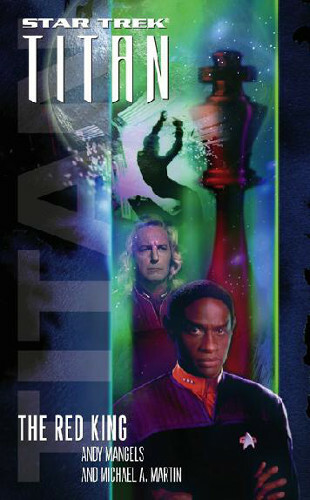 The second book in the Typhon Pact mini-series, which is also the second Trek book that Michael Martin has written solo, is a fairly run of the mill adventure. When a natural disaster destroys a Gorn breeding planet, two factions set out to find a replacement. 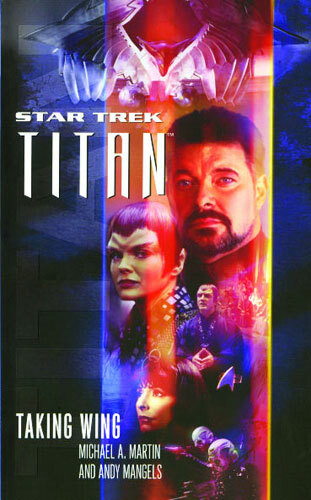 The discovery of an ancient terraforming technology looks promising, but Will Riker and the crew of the USS Titan are afraid it could also be used as a weapon. This novel occurs roughly simultaneously with the first Typhon Pact novel, but other than a few mentions it could have occurred anywhere in the Trek canon. It's a fairly standard story of alien technology, prime directive problems and arguments with the Gorn which seems to have almost no bearing on the continuing storyline. This is a little disappointing as I was hoping for something that would continue developing the plot. The plot itself seems quite slow moving, and made hard to read by the Gorn speech being rendered in a 'Gorn phonetic dialect' which seems unnecessary given that they wouldn't be speaking English anyway. The action tends to stay in one place, and the different factions and number of named Gorn become a little confusing. 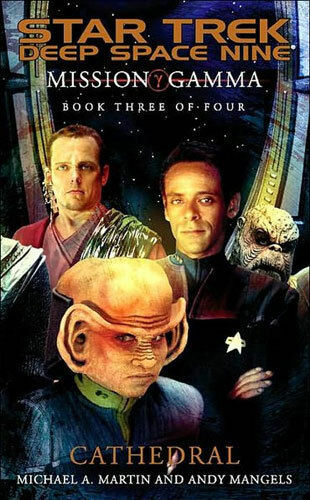 In terms of style it is very similar to the Bashir book which precedes it - both focus on one of the Typhon Pact's member races, showing them to be more than just a warmongers, and dealing with aspects of racism that pervade in the characters. It's more similar though to the earlier Titan novels, but it's far from the best of the bunch. I personally feel that Martin's writing has lost something since he stopped collaborating with long time writing partner Andy Mangels. Overall I was a little disappointed. I was expecting something a little more grand and focussed on the Typhon Pact plot rather than a day in the life of the Titan. Hopefully the remaining two books in the mini-series will get things back on track. An interesting second book in the series by M+M. 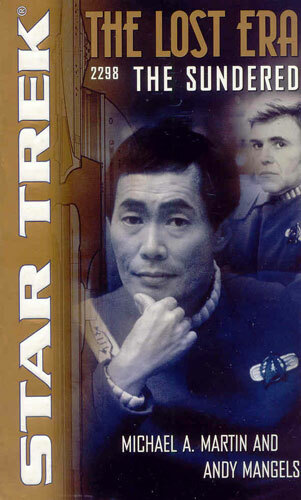 As well as a sequel to the first Titan book it serves as a sequel to their previous novel in the Lost Era series based on Sulu's Excelsior... which I vaguely remember reading about 5 years ago. Sadly, my memory isn't good enough to recall it that well (in fact, the Lost Era series didn't grip me that much at all... to the extent that I don't think I finished reading them). So, the opening chapters threw me a little until I, along with the crew of the Titan who didn't serve with Sulu, was brought up to date. Once the little recap was past, an enjoyable romp ensued, however I'm still having trouble getting to grips with the new characters... for the books based on the series they are easy to imagine, and some others, like New Frontier and the DS9 relaunch seem to have easily introduced new characters, but in both the Stargazer and Titan novels I'm not picking this up. Partly I think this is because the authors are making an effort to be more serious in their SF - going for more extreme forms of life rather than stock humans in prosthetics. And I've never really been able to get my head around those. Did the novel advance the ongoing story arc? Well, that depends on what's going to happen in the next novel... I don't know if this arc will continue, but there were deaths, and the relationships between some of the characters changed... most of those that look important in a negative way, I must admit. So I suppose I really will have to wait and see if the author that picks up the series in the next novel will chose to pick up on those, or whether they will fly off in a new and different direction. 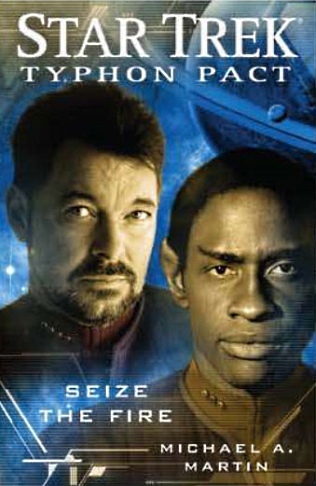 Another gripping tale of the post-tv series Enterprise crew as they move towards the historical war referred to in TOS. It is a follow-up to The Good That Men Do, which is required reading to understand this tale. Although looking back on it there doesn't seem to have been a great amount happening, this is probably only because it's a middle book in a series, and it's taking the crew from one place to another, with no particular plot to resolve at the end. It is a gripping read, as are all of M&M's Trek novels, and there's always a lot happening. 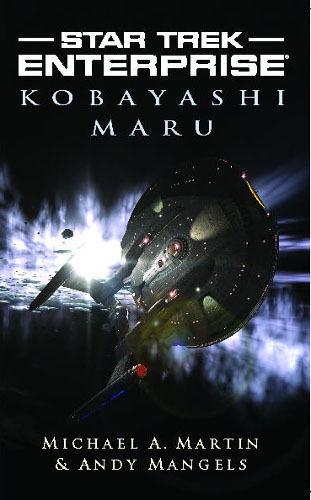 As can be told from the title, the story of the original Kobayashi Maru no-win-scenario is a major feature, along with some surprising deaths and an unprecedented gay Klingon.